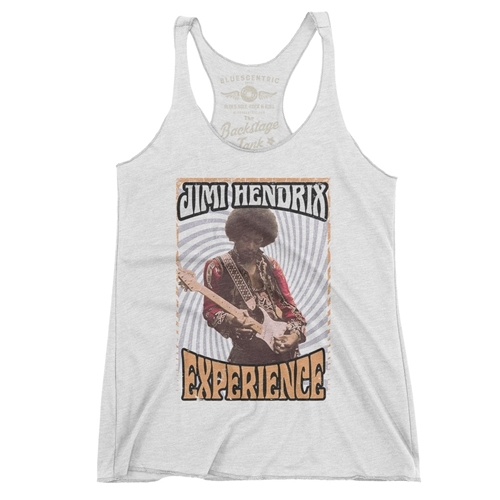 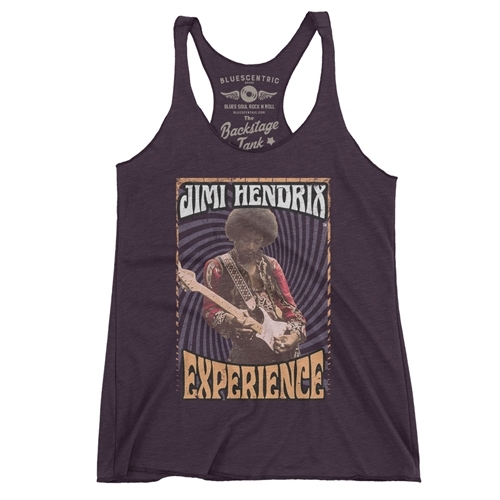 This is a genuine Authentic Hendrix™ Jimi Hendrix Experience Tank Top, only available through Bluescentric. This colorful image of Jimi Hendrix playing guitar was taken October, 1968 by Chuck Boyd while Hendrix recorded at TTG Studios in Hollywood, California. 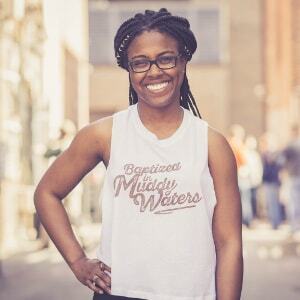 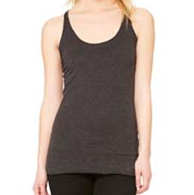 The Bluescentric Brand Jimi Hendrix Backstage Racerback Tank is a premium Next Level brand fabric-laundered 4.2oz triblend 50/25/25 polyester/combed ringspun cotton/rayon racerback tee.